Bluestone Condominiums - Dramatic view of the possibilities of life in the Bluestone community. The Mokulua Islands stand off the world-class beach at Lanikai, where many water sports are available. 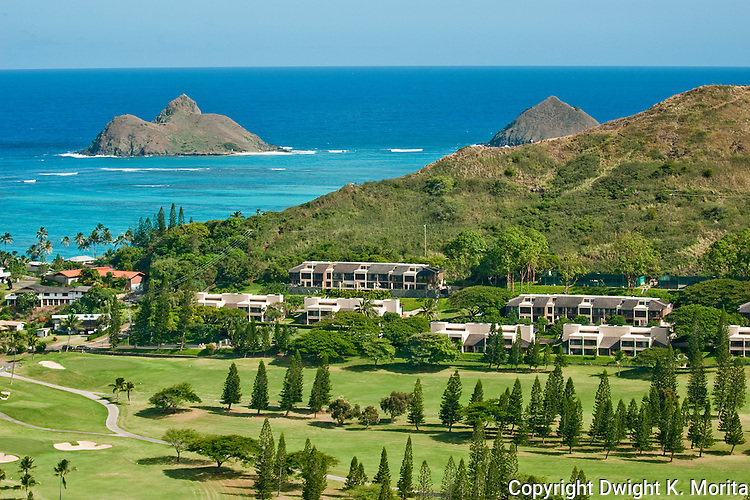 The Mid-Pacific Country Club in the foreground is a beautiful golf course with grand views of the Koolau range as you play. Two of the tennis courts at Bluestone are pictured in the middle right.